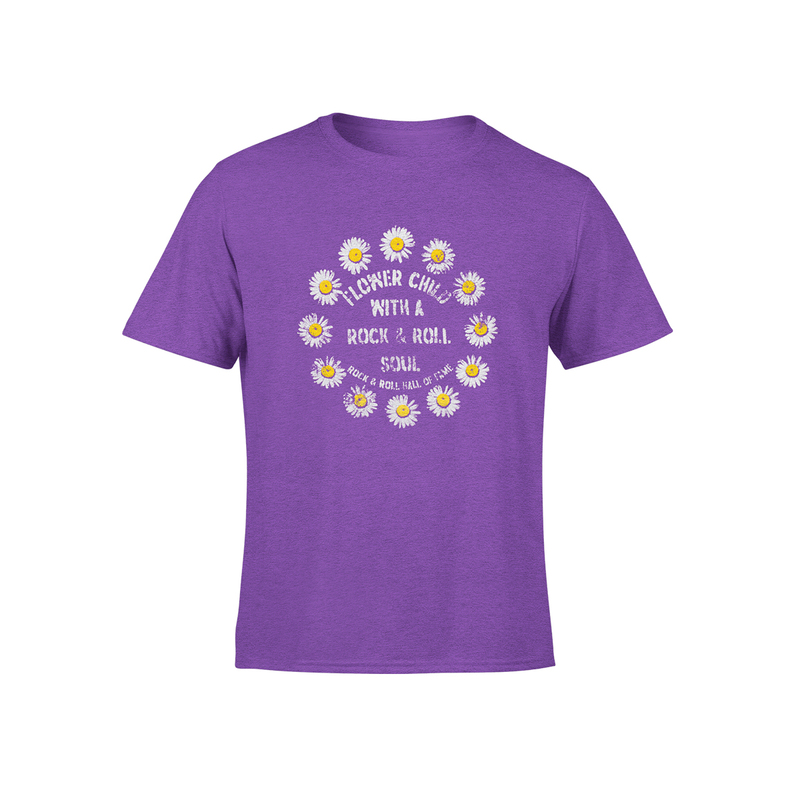 For the littlest flower child with a rock & roll soul! 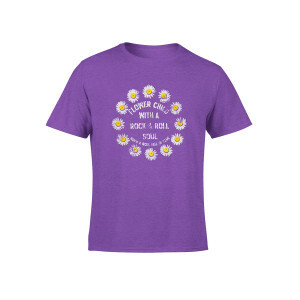 Purple girls t-shirt with daisy print graphic. 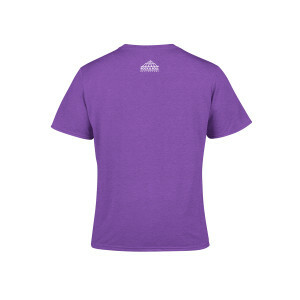 Youth sizes S (6-7), M (8-9), L (10-11), XL (12-14).